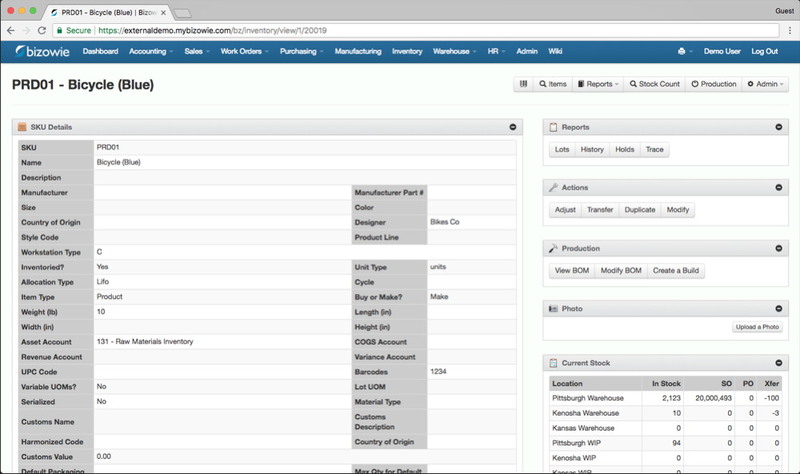 Bizowie ERP is a full-featured cloud ERP platform that offers a powerful, feature-rich set of business applications for manufacturers, distributors, retailers, and mixed-mode operations. Born in the cloud, Bizowie ERP is optimized for scalability and speed, whether you perform 100 or 1,000,000 transactions a day. Our modules are fully integrated and we offer flexible reporting that can easily be worked with “on the fly” to deliver the results you’re looking for. When it comes to software that you rely on to manage your business, don’t settle for the status quo. 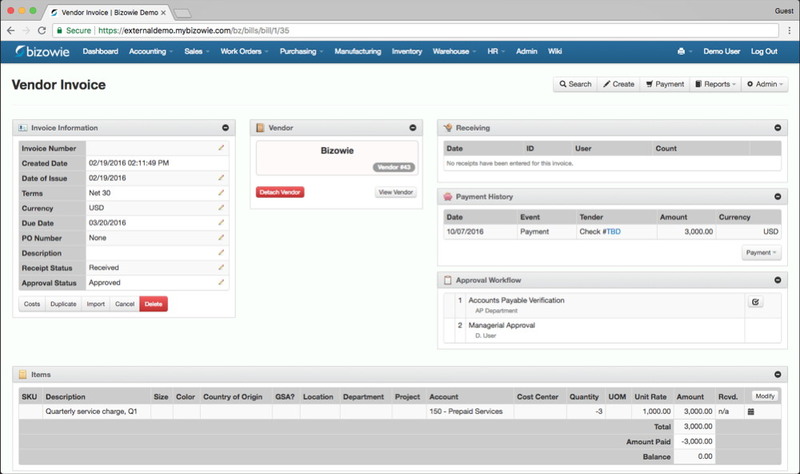 Contact us or schedule a demo to learn more about Bizowie’s revolutionary cloud ERP software. Combining the power and flexibility of accounting-specific packages with the integration of ERP, Bizowie’s financial accounting suite includes a robust general ledger, accounts payable, accounts receivable, cash management, and detailed financial reporting. 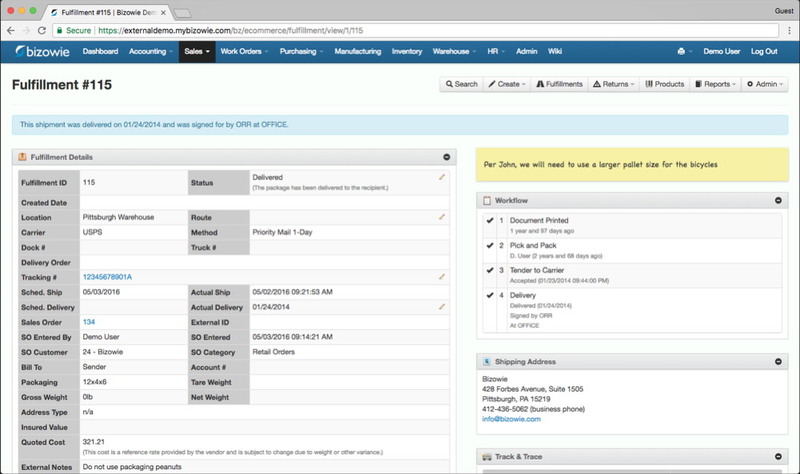 Manage your sales order process from start to finish with Bizowie’s sales order module. 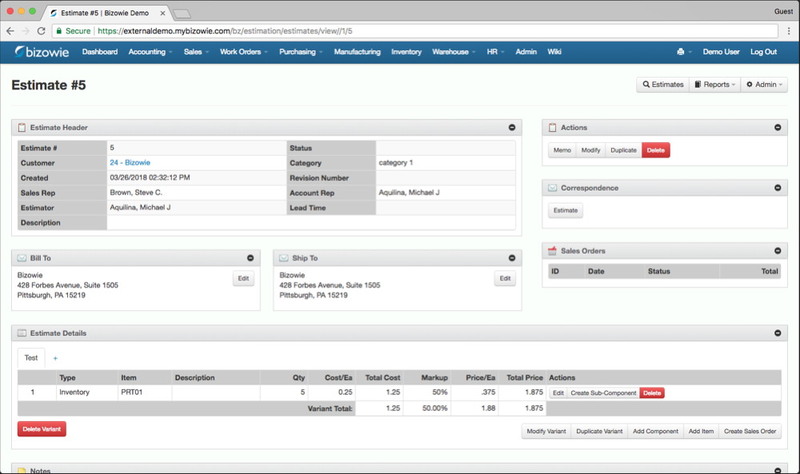 Quickly receive orders via order entry, EDI, e-commerce integrations, and our full-service customer portal. 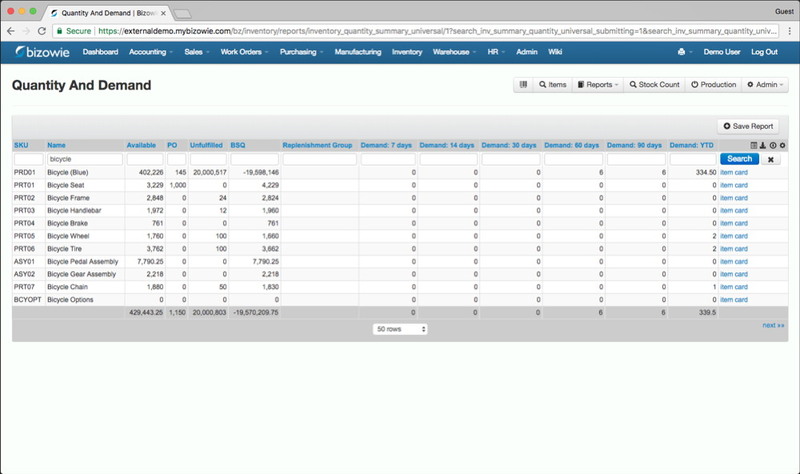 Never drop the ball with robust backorder management with on-demand purchasing and transfers. Locate inventory easily with warehouse, zone, and bin-level location tracking. Achieve full traceability from requisition to sale with support for serial numbers, lotted items, and expiration dates. 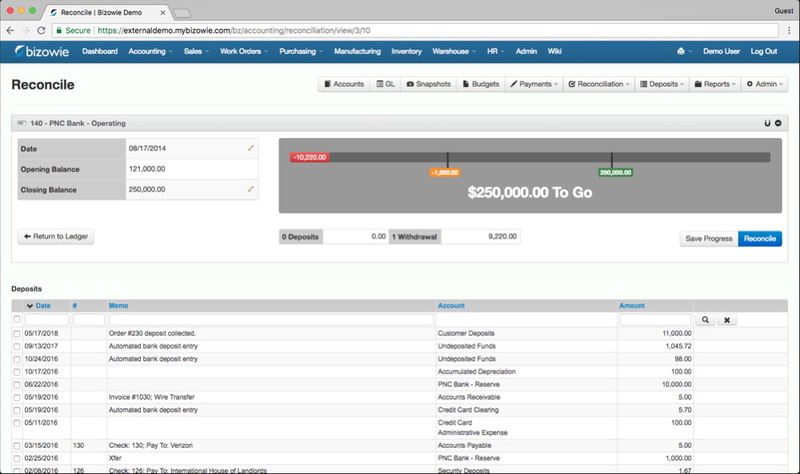 Keep track of requests with purchase requisitions, issue purchase orders to vendors, manage inbound shipments, run purchasing reports, and keep track of all your vendors in one place. 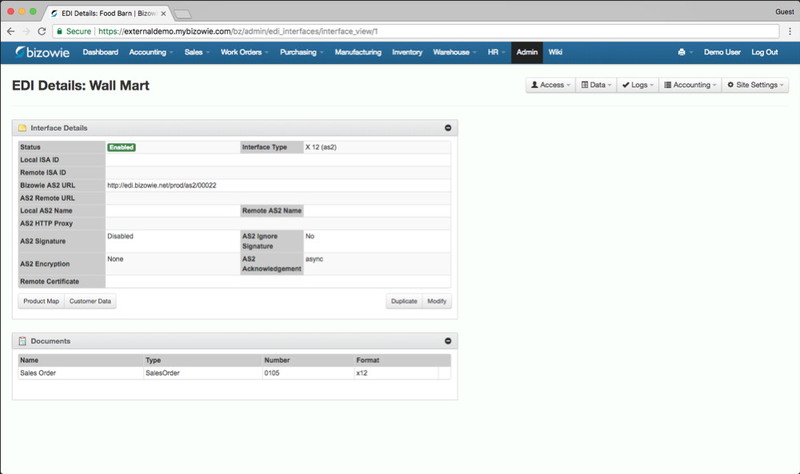 Make sales lifecycle management a breeze by consolidating sales and operational data in one module. 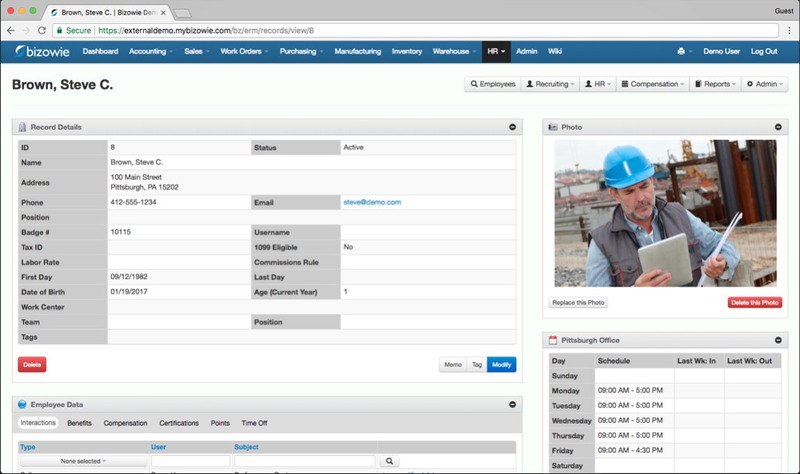 Track customer information, manage leads & opportunities, and easily record sales interactions and emails. 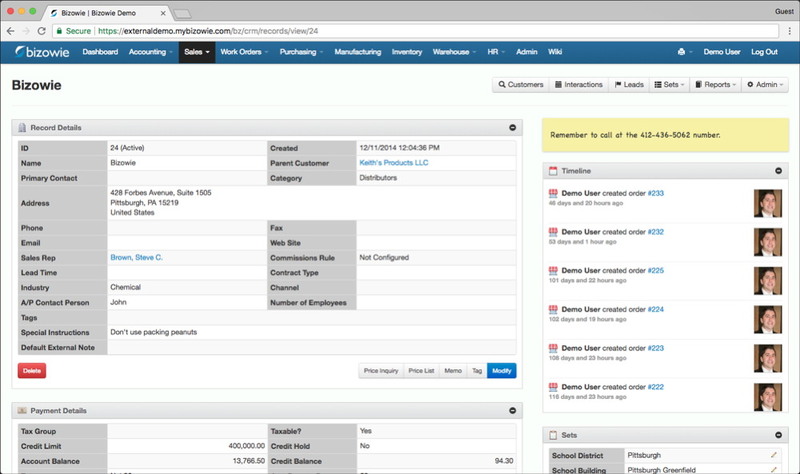 Quickly and easily manage employee records — whether you have 10 employees or 10,000. Keep track of performance reviews, benefits and compensation, training and certification, and more. 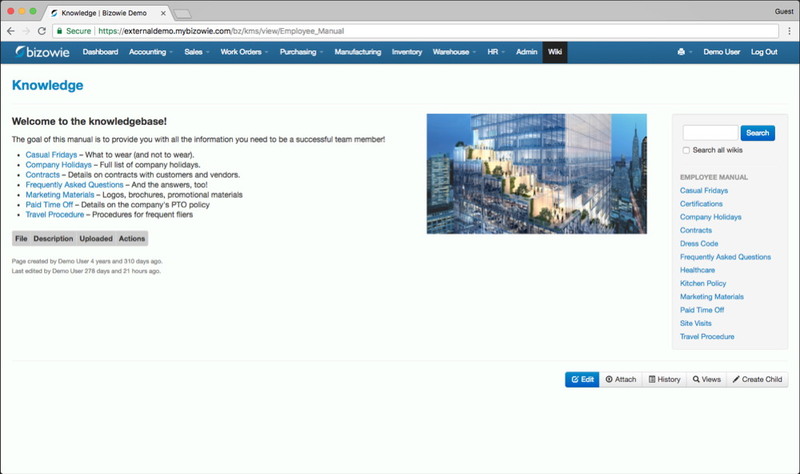 Encourage documentation and collaboration with our built-in wiki, corporate social networking, and document management features. It’s easy to use, without learning complicated formatting languages or computer code. Streamlined, user-friendly access to picking, packing, shipping, receiving, and other warehouse operations via touchscreen, tablet, or mobile devices. 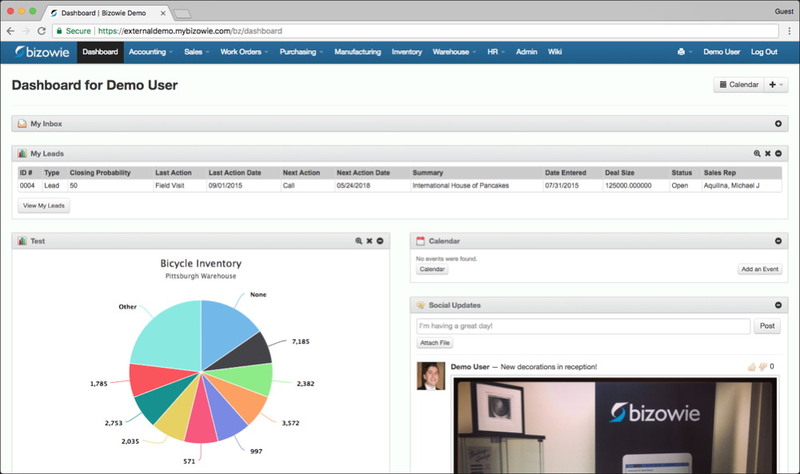 Identify top employees with performance reporting and benefit from full integration with inventory and fulfillment. Fully integrated management of shipping. 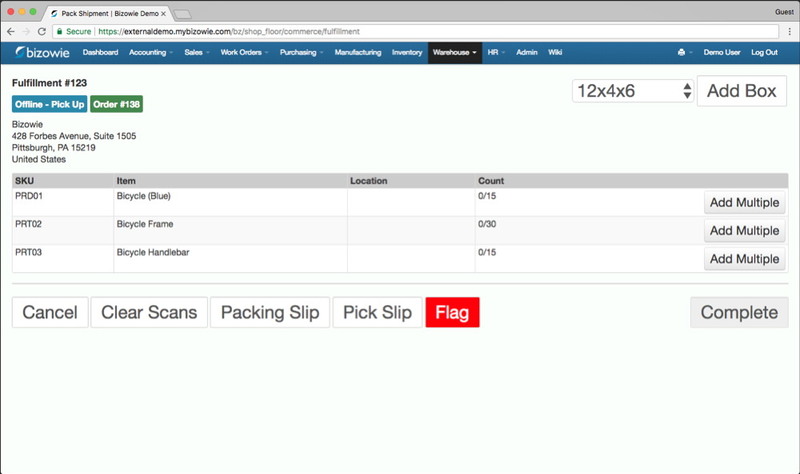 End-to-end integrations with shipping carriers powers quoting, manifest generation, label printing, and freight tracking. 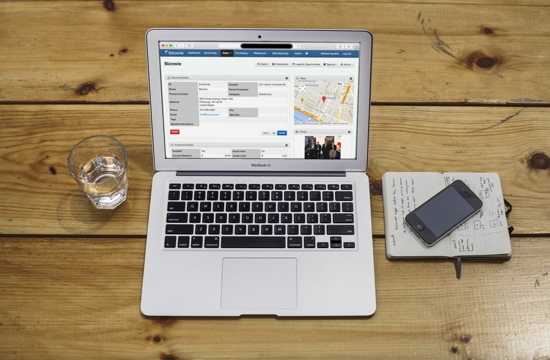 Route management allows full control over shipments via your own fleet. 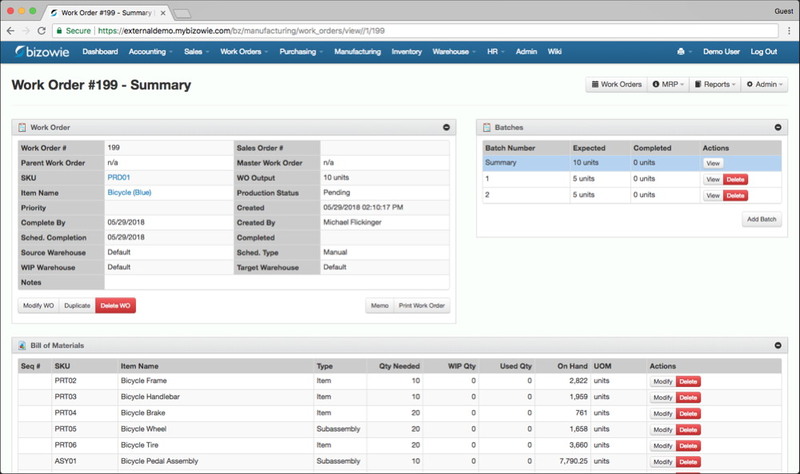 Manage your manufacturing process end-to-end with Bizowie’s work order and production scheduling module. 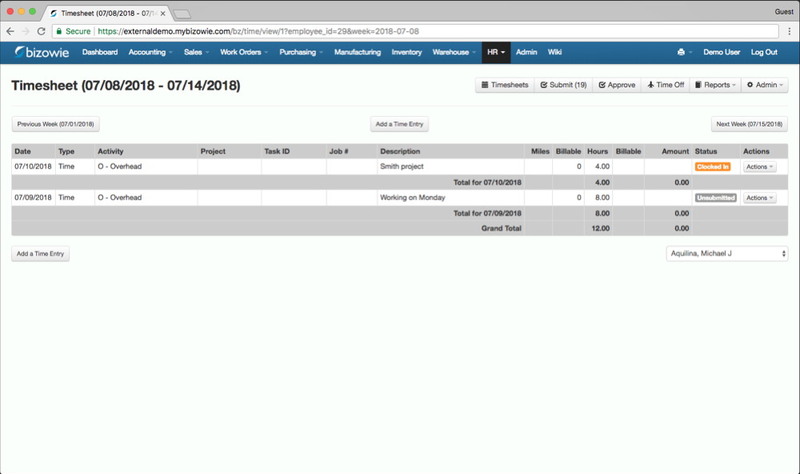 Automatically schedule out work based on due dates, priorities, and labor/machine load, use barcoded travelers to track activity end-to-end, log data through our manufacturing execution features, and use MRP to track material requirements as they occur. 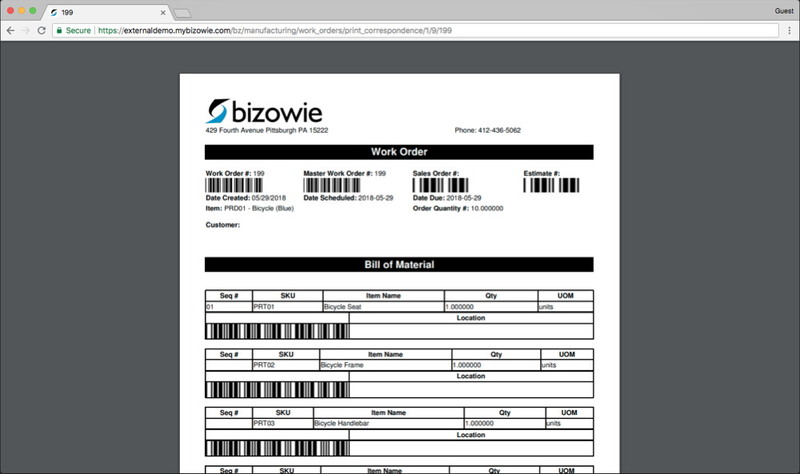 Easily quote out bespoke work for customers with Bizowie’s flexible estimation module. Include labor, materials, and machine time at both standard and custom rates, track multi-level proposed subassemblies and easily turn them into BOMs, and generate beautiful printed documents that include as much (or as little) detail as you’d like. Decrease operational load and increase customer satisfaction through our user-friendly, web-based portal. Allow customers to peruse your catalog, place orders, track shipments, and pay invoices 24 hours a day through a branded white-label website. Fully integrated time tracking includes professional services timesheets, web-based clock-in/clock-out, managerial approvals, real-time anomaly notifications, and in-depth reporting. We’d love to learn more about your business and discuss how Bizowie can help boost productivity, efficiency, and transparency in your organization. Give us a call at (888) 635-2517 or send us an email at info@bizowie.com and we’d be happy to give you a free, no-pressure consultation. Uncompromising Enterprise Resource Planning (ERP) software for innovative manufacturers, distributors, and multi-channel retailers. Copyright 2018 Bizowie. All rights reserved.